Advertising and marketing have been revolutionized with the advent of the internet. Long gone were the days when a company had to spend millions and millions of dollars for print, radio and TV advertising. Now with the internet, social internet marketing has taken over other forms of marketing techniques and strategies. Businesses have seen the significant increase of their visibility and sales when they integrated their websites with any forms of social media. Social media marketing has opened an alternative route for businesses to directly connect and communicate with their customers. There are valuable reasons why businesses have embraced internet marketing. Read on and learn the positive impacts of social media marketing to a business. The greatest impact of internet marketing to a business is it directly and easily communicates with their customers. 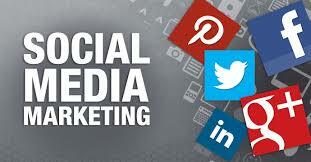 The customers can inquire about a certain product or service through social networking sites. When a customer complains about a product, the company can conveniently learn about it. No need to wait in lines or for a customer service representative to discuss concerns and issues. Customers can also interact with their fellow customers and talk about the pros and cons of a company’s product. This is also an advantage for the company since they can address the issues right away. Some new companies and online businesses depend on social media marketing to spread their products and services. Creating an account in any social networking sites is free and by obtaining followers and fans, the product and service being launched have reached to millions of people. If you want to place an advertisement in any social media sites, you can also do this for a fair price. Online businesses have taken advantage to these free social networking sites in promoting their products and services. It takes patience, time and effort to see a surge in the number of your customers. You need to learn how to use social media marketing in a right way so that people could reach you. By linking your business to a social networking site, increases sales tremendously. You need to learn how to manage your social media sites. You do not need to post everyday which could be annoying to your fans or followers. Just make your presence visible yet in a discreet way. Internet marketing is a great tool in promoting products and services. It should be done smartly so that you could see positive results in a short span of time. You do not have to focus entirely on social media marketing to promote your product. You could try venturing out to other forms of online advertisement.